W.E. Clark & Son take great pride in offering a comprehensive watch repair service for most brands of watches including Omega, Tag Heuer, IWC, Rolex, Longines and Tissot. We can repair almost any watch and are specialists in the repair and refurbishment of vintage watches and pocket watches. We offer the best watch repair service in Sussex. We are delighted to have our very own in-house Master Watchmaker. He has over 25 years’ experience and is only one of ten watch repairers to hold this title in the UK. Our Master Watchmaker offers the most extraordinary level of expertise, and is able to diagnose and repair any issue with any timepiece, be it quartz or mechanical. We can help with almost any make, type or age of watch. 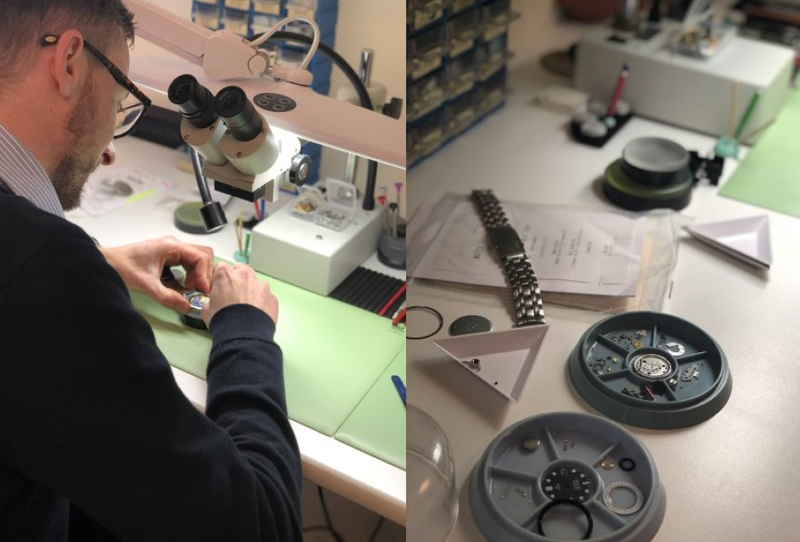 Our Sussex-based Master Watchmaker understands the intricate mechanisms of many complicated watch movements, and we are delighted that he has been able to successfully repair many watches where other watchmakers have failed. His expertise is such that where parts are no longer available, he can make refined replacement parts that are of the same standard as the original. We offer a full service for almost any watch. 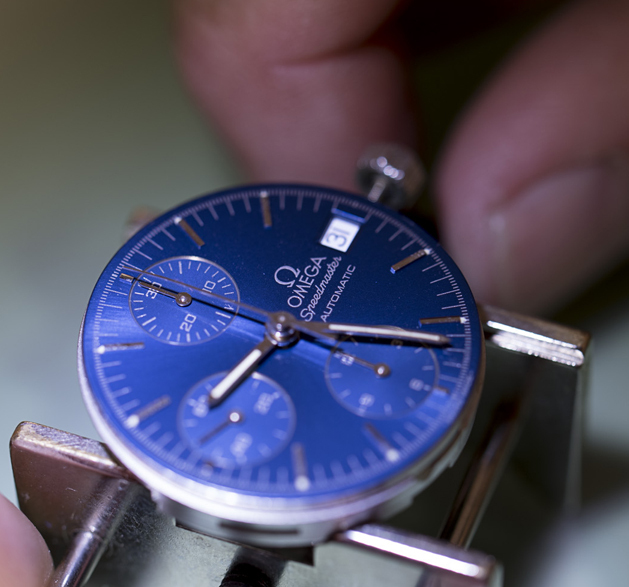 Every watch that comes into our workshop is handled with the same care and sensitivity. Disassembling intricate parts and cleaning them, and correcting positional errors requires an extraordinary amount of knowledge and skill. Our Master Watchmaker has the exceptional skill required to service and repair even the most precious and intricate timepiece. In every watch we service we are confident we can bring back precision engineered timekeeping and maintain excellent condition. With W.E. Clark you can always be sure of the same exacting standards with every watch we service. 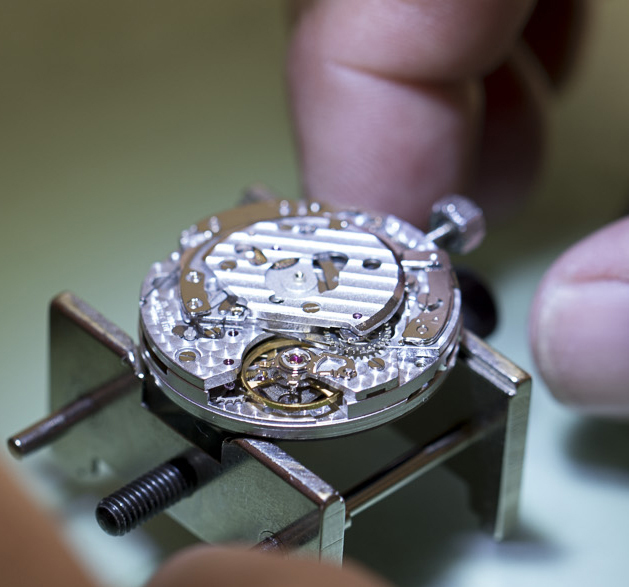 Our professional teams in each of our shops are trained to carry out minor watch repairs. They can replace batteries, replace watch straps or bracelets, adjust watch bracelets and replace watch pins. They can also carry out ultrasonic cleaning of bracelets. All of our minor watch repair services can be carried out while you wait. For more complex repairs, or where battery replacement requires resealing and testing for water resistance, your watch servicing will be referred to our Master Watchmaker. 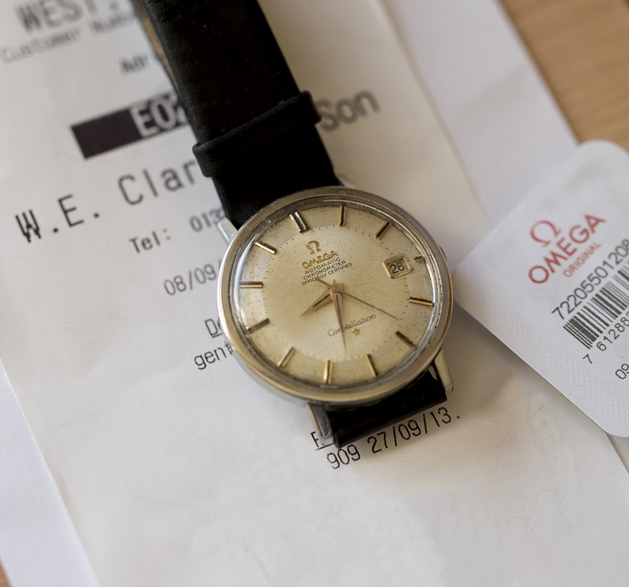 The service we offer is just as important to us as the watch repair or servicing itself. It’s one of the reasons we choose to have our very own on-site Master Watchmaker. We are delighted to have been recognised for our exclusive service, winning regional Independent Retailer of the year 2017, and Best Independent Fine Jeweller in the UK at the latest Professional Jeweller Awards. Our watch repair services, carried out by our on-site Master Watchmaker, are available via both our showrooms, where our team would be delighted to discuss your requirements with you. Why not come in and see us, or give us a call on 01323 406394. We would love to meet you. If you can’t make it into our showroom, we also offer our fully insured FREEPOST service throughout the UK. You can post your timepiece to us from anywhere in the UK using our Royal Mail Special Delivery FREEPOST service. Your pocket watch is insured for up to £20,000 throughout its postal journey, from the moment the package leaves your hand to when it is posted back to you. Before we carry out any repair work, we will always discuss the estimated costs with you first. If you have a watch requiring attention, but you live outside of the UK, we can still help. You will have to organise shipping, but we can still offer the same exceptional watch repair service. 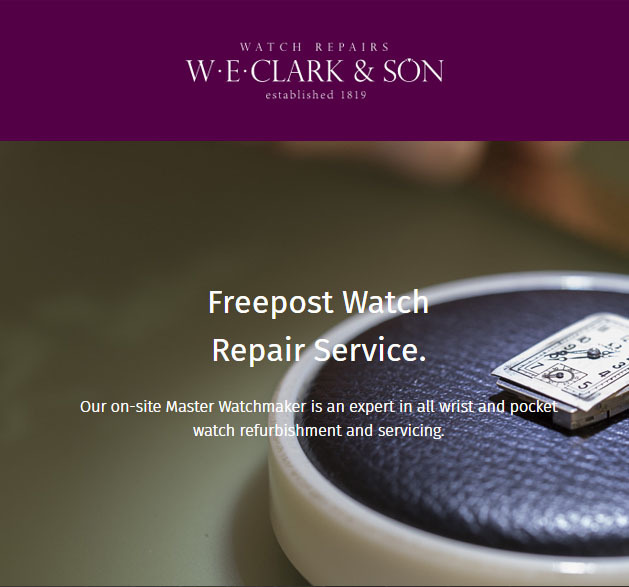 All watch repairs carry a 12-month guarantee, where possible, and we can return items to you via insured post if you prefer. Please visit our Watch Repair Website to find out more. If your precision timepiece loses a minute a day it may need to be cleaned or it may be that the movement has become unstable and needs attention. Hand finished mechanical movements can be cleaned and repaired and mechanical complications corrected by our expert watch repairer, from fixing moon phases and power reserve indicators to correctly displaying the Gregorian calendar. Please visit our watch repairs website for more details! W.E. Clark & Son are delighted to be one of the few jewellers nationally to have a Master Watchmaker on-site. 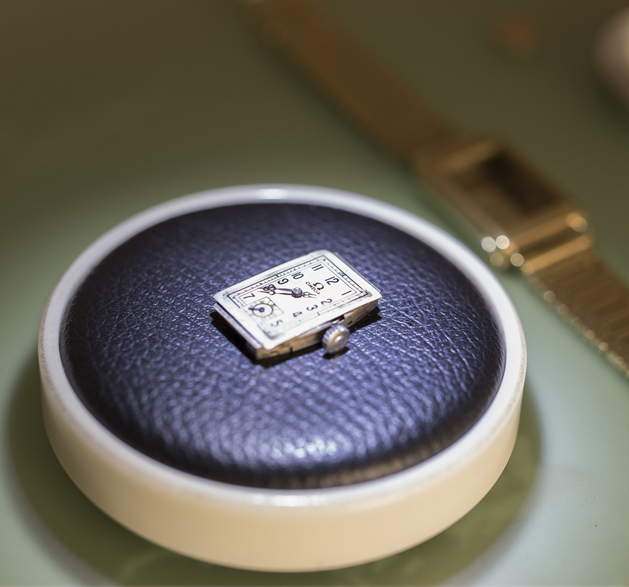 Our Master Watchmaker is one of only 10 watch repairers to hold this title in the UK. 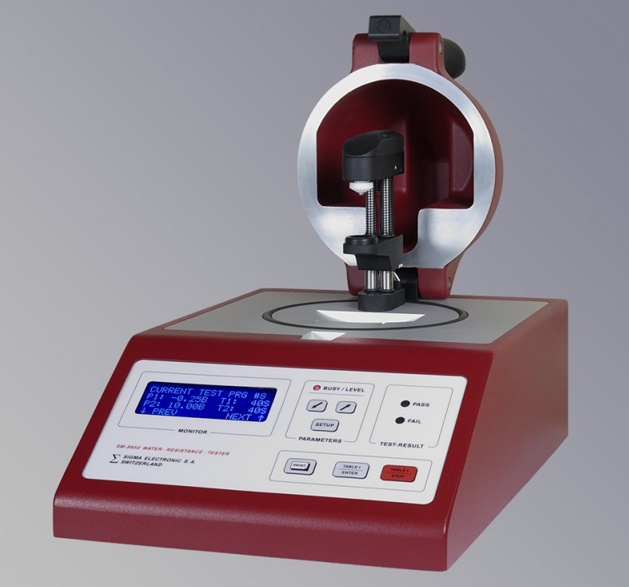 Essential to ensure your watch is up to the rigours of your modern sporting and leisure pursuits, our pressure testing service uses the latest technology – the Witschi Proofmaster machine. Watches will be tested to manufacturer's recommended levels within our own watch workshop. 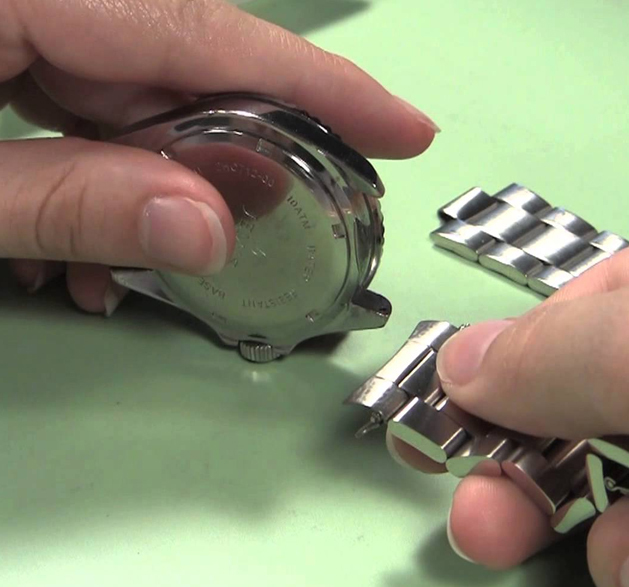 This fiddly task is made to look easy when done by a professional watch repairer! Choose from our range of leather straps and metal bracelets, and have your new watch strap fitted while you wait. We only use Hirsch Watch Straps, with each strap guaranteed for 12 months. A badly damaged bracelet can cause discomfort or render your watch unwearable. Have burrs removed and links untwisted and reconnected at W.E. Clark & Son in Lewes and Uckfield. We also offer alterations including lengthening and shortening, particularly common for inherited timepieces. 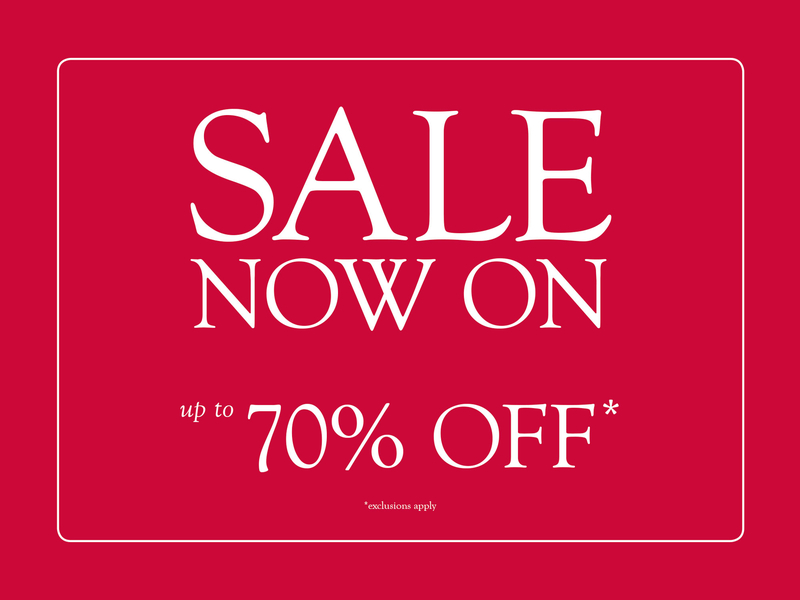 This specialist service is available for all brands of watches, with prices starting from £25. Please telephone on of our showrooms or come in and we can advise you. Lost or broken winders, or crowns as they are known in the trade, can usually be replaced or mended within a week, although this does depend on the age of your watch and the material the winder is made of. We have the tools and experience to quickly and professionally install a replacement watch battery and get you back up and running on time. We hold stocks of most watch batteries and can provide the same efficient service from the Lewes branch. If your watch is water resistant, we have the equipment on-site to maintain or reinstate this where required. We offer a fully insured postal watch repair service. If you are unable to visit us, join the 1000's of satisfied customers who have used our postal watch repair service. 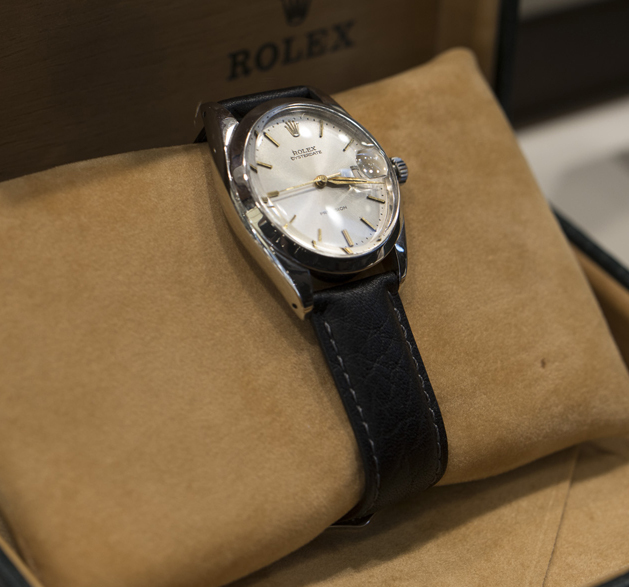 We are specialists in all types of watches including vintage timepieces.